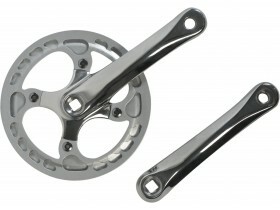 Best known for their 3-speed hub gears, Sturmey Archer also make sound chainsets and cassettes. 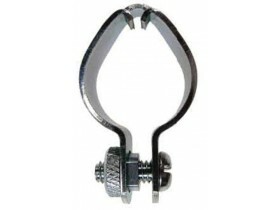 The toggle chain connects the gear cable with your Sturmey Archer hub's internal mechanism. 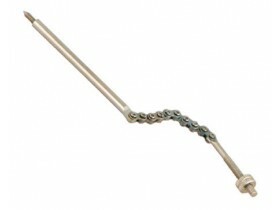 The Toggle Chain makes it easy to ensure the gears work properly, say after installing a new gear cable. 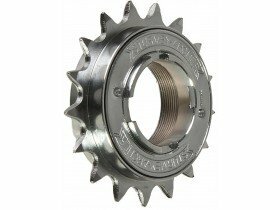 This single ring Sturmey-Archer chainset is handsome enough to feature on flash £500 bikes such as the Marin Inverness. 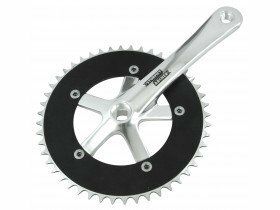 The track design (more metal on the chainring) makes it more flex resistant.